There is a massive advantage to using something eye catching and special in front of your store to grab the attention of passers by and onlookers. At Dynamic Gift New Zealand we have just the thing to drag people into your showroom weather you are in a busy main street in Wellington or a busy industrial area in the south of Auckland. We can produce you a truly exciting and memorable inflatable sign that will last for years to come! People are bombarded with ads at every turn, and it is becoming increasingly difficult to capture their attention amidst other competing messages and business signage. Because inflatable signs stand high in the air, they can be easily viewed from far away. A basic sign, such as a wooden sign or cardboard sign, is usually closer to the ground, which means that it is difficult to see unless you are standing nearby. And with some of the towering business buildings in the city, a smaller sign won't cut it. 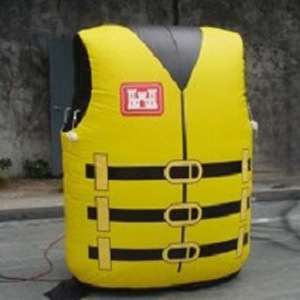 The inflatable options are filled with air, so they move gently in the wind and attract attention via their movement. If a person is passing by a basic advertising sign, they might not notice it. But, it's hard to miss a large sign or a promotional blimp, because of the size and height of the advertisement. Billboards tend to blend into the city scape, and eventually people no longer pay attention to the messages that are shared on the billboards. Especially if someone is driving by the billboards on a daily basis, they probably aren't reading all of the messages on the boards. On the other hand, inflatable signs and blimps are unusual and out of the ordinary, so a passerby will notice them immediately as they drive by. 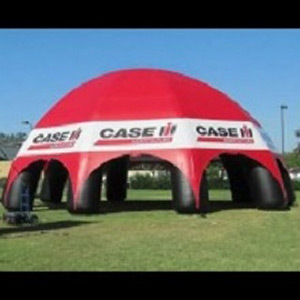 One nice feature of printed inflatable signs is the fact that they are portable, and can be setup in different places. You can move the sign where ever you would like it to be displayed. In comparison, a billboard or permanent sign on the side of the building can't be easily moved. For example, you might consider store front inflatables outside your business in order to catch the attention of people that are driving by. 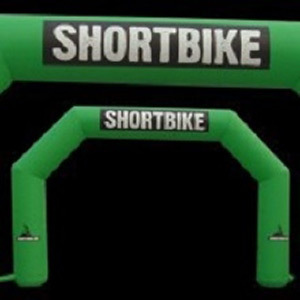 If you are attending a fair or another on-location event, then you might be able to bring the inflatable sign along to setup in a temporary location. They can be setup on the ground, on a rooftop, on the grass, or on pavement. As long as you have a sturdy base, the sign can be used anywhere. Here at Dynamic Gift in Auckland, New Zealand, our goal is to provide you with the advertising supplies that you need. We can customise inflatable signs and custom made blimps, in order to accommodate the needs of your business. Having a custom made inflatable sign designed is more than just buying billboard space, because you will be able to utilise your sign in many ways. We stand behind every product that we offer, and your satisfaction is our top priority. Inflatable signs and blimps come with a one year fade warranty, so you don't have to worry about the colours fading away after a day or two in the sun. You can choose the print design for the sign, and we are able to offer printing services in full colour. Additionally, each inflatable sign comes with the inflation mechanism that is needed to make it easy to setup. If you have any questions or need help selecting the right product for your needs, contact us and we will help you out!